US Industrial Tool manufacturers and sells a wide range of airframe & power plant tools for the needs of the home builder and the commercial builder. Airframe Tools include: Air Rivet Tools, Rivet Squeezers, Drill Motors, Rivet Shavers, Pedestal Riveters, Bench Top Riveters, Hot / Cold Dimplers, Blind Rivet Guns, Shrinking and Stretching machines, Planishing Hammers, Tab Shears, Air Nibblers, Shears, Tubing Benders, Cleco Installation Tools, Reciprocating Body Saws, Routers, and Panel Saws. Power Plant Tools include: Spark Plug Cleaners, Feeler Gauges, Gap Gauges, Spark Plug Cleaners / Testers, Bushing and Bearing Driver sets, Push Rod Housing Flaring Tools, Oil Filter Drain kits, Oil filter Cutters, Cylinder Base Nut Wrenches, Spring Compressors, Hose Assembly tools, Ring compressors, Differential Cylinder Pressure Tester, High Voltage Cable Tester, Timing Indicator, and Magneto Timing Light. Spark Plug Service Tools include: Cleaners in abrasive and vibrating styles, Cleaners and Testers, Gap Gauges in both blade and rod style, Specialty Plug Gappers, and Plug trays. P-Lead Adapters and Magneto Lock tools are available for Magneto timing. 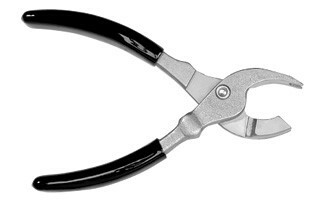 Oil Filter cutters are available in the Airwolf and stick styles. Valve and Piston Spring Compressors are available for Lycoming and Continental engines. Please see our catalog for available Power Plant kit. Request a quote today for the airframe and power plant tools you need, or contact US Industrial Tool to learn more.